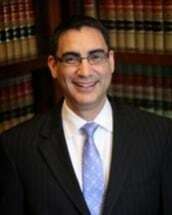 David Delgado is licensed to practice law in Mississippi and Tennessee. He also was raised speaking Spanish and is one of the few Spanish speaking attorneys in the Memphis metropolitan area and in Northern Mississippi. David received his Bachelor of Arts degree from the University of Notre Dame and his Juris Doctorate from the University of Mississippi School of Law. From 2000-2002, David worked for the United States Department of Justice via the Department's Attorney General's Honors Program. David was employed as attorney with the Executive Office for Immigration Review working in Tennessee, Louisiana, Florida and Puerto Rico. After working at a few private firms, David opened his own firm in the summer of 2007. He is an attorney for Criminal, Immigration, Workers Comp., Etc.